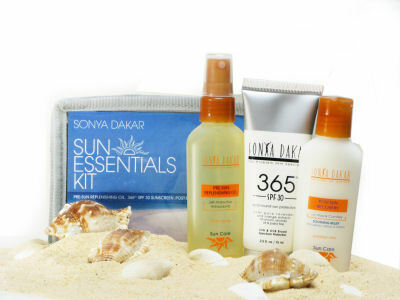 Sonya Dakar doesn’t just make faces look flawless, now the celebrity favorite is perfecting bodies with her new Sun Essentials Collection travel kit. It contains Pre-Sun Replenishing Oil for a delicate sheen and additional moisture, 365 SPF 30 Sunscreen for broad UVA and UVB protection, and Post-Sun Recovery Gel to soothe sunburn, redness, and inflammation. SonyaDakar.com, $68. It’s a bracelet, it’s a gloss, it’s both! The new LanoBracelet holds replaceable lip glosses on each end of the bracelet so you have your favorite colors on hand, literally. Not only will you add sparkle to your lips but the interchangeable ends are made of authentic Swarovski crystals, giving your arms a little extra dazzle. LanoLip.com, Price available upon request. Don’t let your hair suffer from discoloration this summer. Protect hair from the damaging effects of sun, chlorine, salt, water, and wind with Swimcap by Philip Kingsley. Just apply to damp hair in sections before going out and you’ll be worry-free all day. PhilipKingsley.com, $35. It’s finally okay to take a dip in the pool. 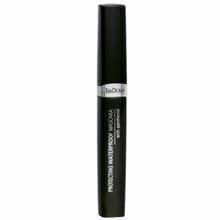 Isadora Protecting Waterproof Mascara will keep your mascara in place while lengthening, thickening and conditioning lashes. Isadora.com, $13. The best way to keep cool is by putting your hair in a ponytail or bun. Take that style from ordinary to extraordinary with Lavender Girl headbands. Wear one or stack them up in their many different styles and colors. Violet Princess Band, LavenderGirl.com, $24. 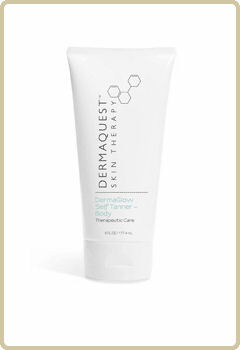 No time for fun in the sun but still want to look like you just came back from a tropical getaway, fake a healthy tan with the new DermaQuest DermaGlow cream. It contains erythrulose which provides a gradual tan so you’re less likely to streak. 4derm.com, $36. 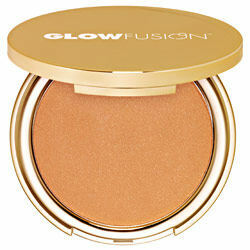 It’s not just a bronzer, it’s Glow Fusion Smart Bronzer. It contains Topical-Injectable™ technology to smooth, firm and protect skin; LiftFusion™ relaxes wrinkles; Vitamin C lightens dark spots while Vitamin E helps fight free radicals that cause premature aging; and Invisiskin® keeps skin hydrated and protected for up to 24 hours. Choose from Sunshine, Golden and Luminous. ButterflyBodies.com, $37. Don’t let warm weather melt your makeup. Model in a Bottle Makeup Setting Spray sets and seals makeup all day and night without any touch-ups. ModelInABottle.com, $18. Revitalize skin and hair in one easy spray with iTech e Energy Water. Just fill it with tap water and spray. Don’t worry, the main filter converts tap water so it’s clean and healthy. The spray also has a Fruity Floral filter with a sweet and fruity aroma that protects skin from UVB damage, help create collagen, and regenerate cells. Spray it on the hair to protect from further damage caused by the sun. eEnergyWater.com, $40-60 depending on size.